Everyone likes the free stuff. So, in this tutorial, I’ll be showing you how to make free calls online to any number in the world. Nowadays, every instant messaging app has the online calling facility to get connected with your friends and family. But, within the limitation, you can only make calls to the desired people who has installed the same app. Finding a good online service with free calling facility is like the dream comes true for many people. In early days, there was many online services available to prank with your friends by calling or sending a message from their own number. But, now most of these services are not working. I have shared a post on making prank calls with Voxox application, but this application is not working properly. Now, you can’t change your calling ID to prank with your friends with different numbers. But, still you could try Voxox to connect your calls anywhere in the world with a US number. You can also use this number to verify your WhatsApp account. POPTOX is an online service, which allows you to make free calls anywhere online. 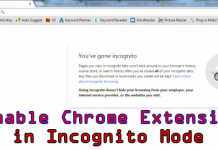 This service works well in both computer and mobile devices but only with the Google Chrome and Firefox browser. I have tried this service and the voice output is superb. If you have a good Internet connection, then you could make high quality online phone calls. The limitation is, you can call any number for 5 times/day and you get only 2 minutes call time for each call you make. The time limit is not that much, but you could use it to prank with your friends or in the emergency situations. The best thing about this service is, the call goes from a USA number and every time it shows a different USA number on the receiver’s mobile screen. So, let’s begin the game to make free phone calls online without registration. This service doesn’t require any application to make free calls. You can call any number in the world without registering an account. You’ll see a phone with the keypad and country selector. It looks like a real smartphone and the keypad sounds like a real keypad. 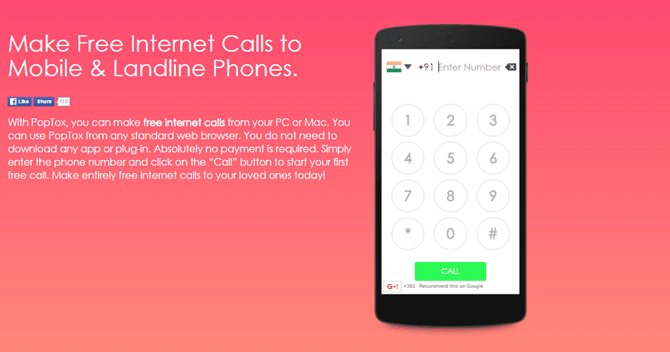 Here, select the country and enter the phone number which you want to make a free call. After that, press the green CALL button to initiate your call. It will ask you to give permission to the MIC, so press the Allow Button when prompted. If your MIC is not configured correctly on your computer, you’ll see an error message as “Mic Permission Denied“. Now your phone will start ringing like a real phone call. After receiving the call from the other site, you can talk with him or her. This is the easiest way to make free calls online to any number on any counter. This online service is awesome to prank with your friends or in an emergency. As I said before, you can’t make the call more than five times per day in a single device. You can use another device to make another five Internet calls or you have to wait for next day to initiate a call. 2 minutes…Are you serious? I’m not trying to be mean or anything, but if you’re writing an article about free calls on a tech blog and you choose POPTOX? 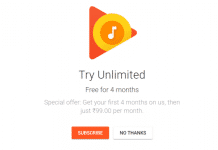 that gives you stupid limitations, only can be used from chrome/firefox, etc., etc…..What about Gmail giving every user a free phone # and unlimited calling. Not to mention you can pull all your contacts from your e-mail and with most people linking contacts together, it’s like having a free house phone that has all the benefits of a cellphone and more! Plus you can download the app, send unlimited texts to go along with your unlimited calls. You don’t even have to have the app open to get messages or voicemails! 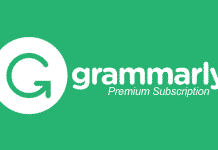 They goto your inbox and Google transcribes them for you FREE. Also, Pinger is way more awesome than both of them IMO…The free text app that lets you receive unlimited calls for free, and talk as long as you would like. To get minutes to call out you can watch videos or complete other free offers…You can even just buy 100 minutes for $1.99 and you have full fledged phone service for $2 a month with as many minutes as you want if you want to watch videos on silent or spend a few dollars here and there. Between these two apps on my iphone and using my roommate’s Xfinity login, which hotspot covers the entire island I live on, I get free phone service that works just fine. Once every town is completely covered by high speed internet access, there will be no more use for these silly overpriced cellphone companies. Gmail calling facility is not available for all regions and this tutorial is only for emergency purpose. POPTOX is not for everyone… But, you should try and hope you’ll like it. I am really thankful to you!!! Being free for two minutes and 5 times a day seems a good enough option for us . I have also mentioned that you could also use it for emergency purpose. Keep writing such good articles.